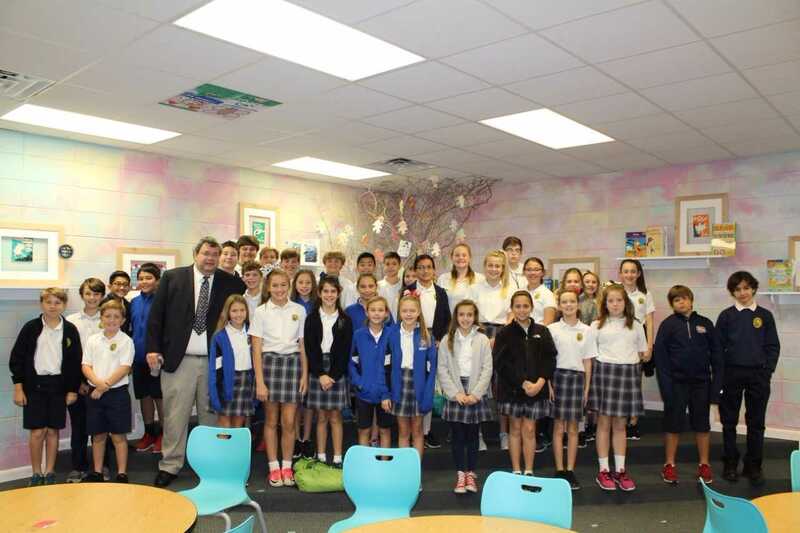 On Tuesday, November 14th, Blake Kaplan, Executive Editor and VP at the Sun Herald gave a presentation to 5th and 6th graders at OLF Elementary on the state of the journalism industry. While admitting that the number of print subscribers is on the decline, Mr. Kaplan told the students that it is an exciting time to be a part of the journalism industry. According to Kaplan, the industry is evolving into a dynamic digital platform providing cutting edge stories in a short notice on their website and mobile app. Consumers want instant information and the Sun Herald provides the news as it happens. After giving a short presentation, Kaplan took a variety of questions from the students regarding job opportunities, how comics are selected, and how he entered the industry.